Four of my friends have teamed up and started blogging at EarlyStager.com, and you should definitely subscribe. 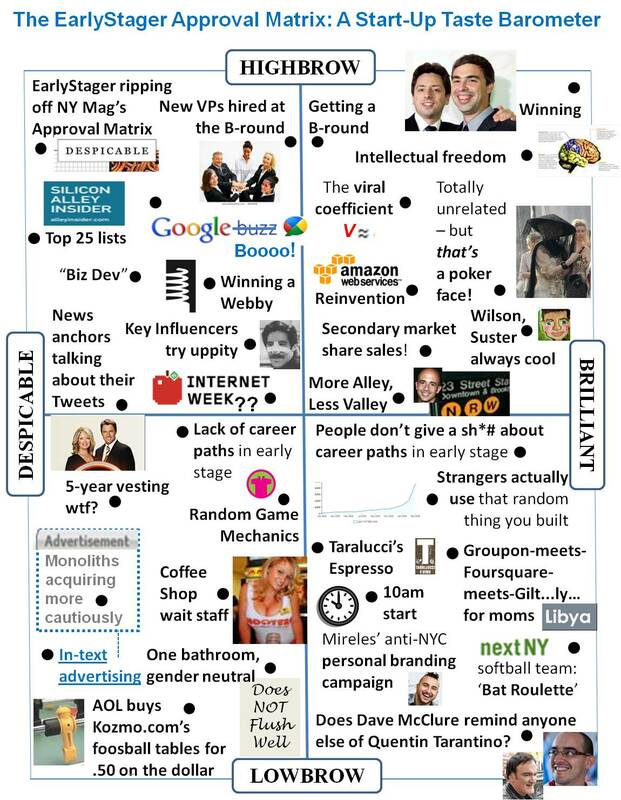 One of their first posts is the EarlyStager Approval Matrix: A Start-Up Taste Barometer and its great. Congratulations to @bethferreira, @emilykhickey, @lexjuneja, and @sarahtavel on the launch – I am looking forward to what comes next!